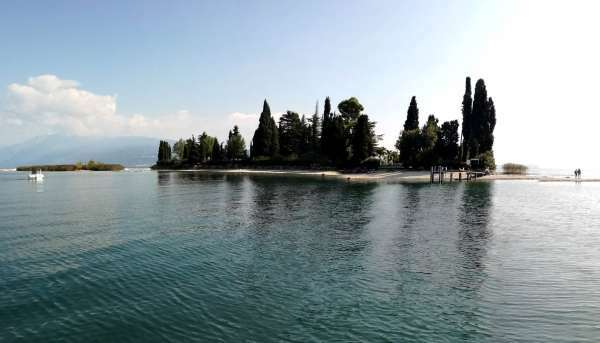 The more than 11 km of coastline along which the territory stretches make Manerba del Garda one of the areas most involved in seaside tourism, thanks to its beaches, which are among the most beautiful and attractive on the lakefront. From the Natural Park of the Rocca it is possible to realize the spectacle that surrounds us on this shore of the Garda, with unique views such as "The Romantic Beach" (spiaggia della romantica), the largest and most famous in the area with the name due, as can be guessed, to the beauty and the charm of the panorama offered. The geographic position to the east means that the sun in this corner of Manerba sul Garda is never lacking, even during the autumn-winter period.